In a laudable effort to make teachers conduct classrooms in the foreign language, mainstream philosophy has thrown out the baby with the bathwater. The mother tongue, or another naturally acquired language is the greatest pedagogical resource that learners bring to foreign language classes, as it lays the foundations for all other languages we might want to learn. 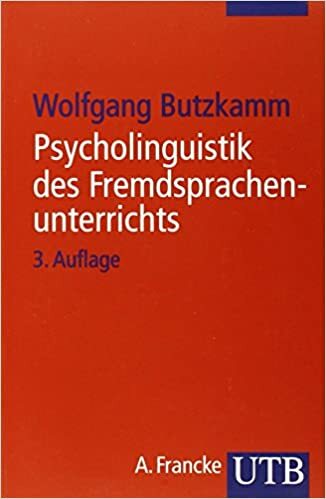 Two thousand years of documented language teaching, as well as modern brain research, have shown that foreign language learning is fundamentally bilingual. Because, in a deep sense, we only learn language once. As children we have accumulated a huge cognitive capital for the rest of our lives, usually via the mother tongue. It would be sheer madness to cut learners off from it. If they didn’t make the connections by themselves, foreign language teachers could pack it in straight away. There is a five-fold endowment that we bring to the FL classroom. As we grow into our mother tongues (1) we have learnt to conceptualize our world, we have become world-wise; (2) we have become skilled intention-readers and communicators, we have learnt to combine language with body language; (3) we have learnt to articulate fluently and use our voice effectively; (4) we have acquired an intuitive understanding of grammar; (5) we have acquired the secondary skills of reading and writing. In acquiring a first language, we have in fact constructed our selves. The mother tongue is therefore the greatest asset people bring to the task of foreign language learning. 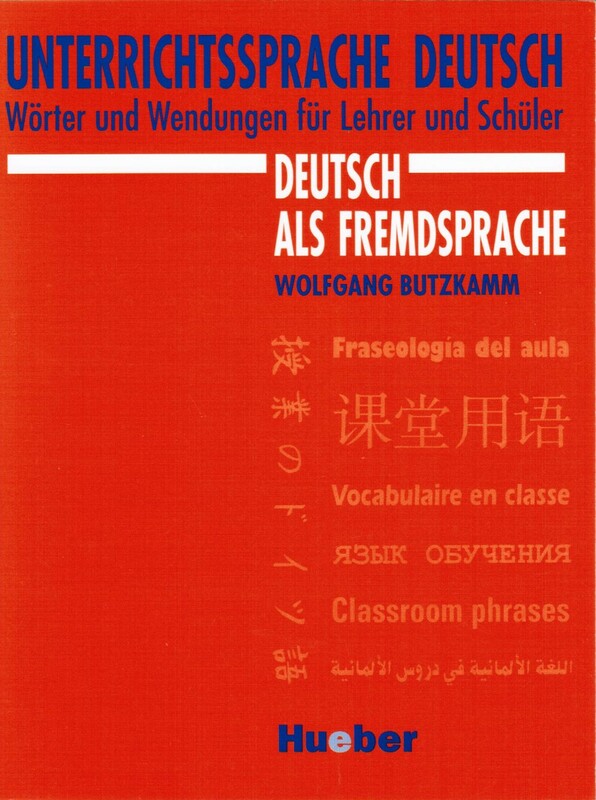 It provides an indispensable language acquisition support system and should be made use of accordingly in carefully crafted bilingual techniques. This amounts to a true paradigm shift because MT support touches upon all the major domains of foreign language teaching: vocabulary, grammar, texts, communication, emotional aspects of learning, even pronunciation. 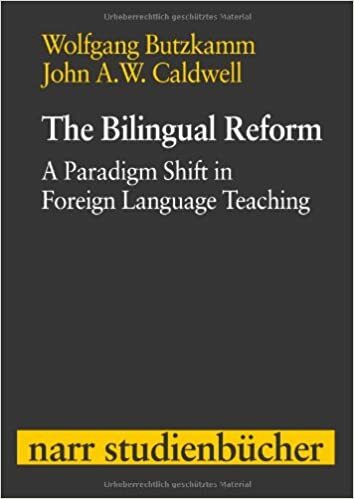 (Butzkamm & Caldwell: The bilingual reform. A paradigm shift in foreign language teaching. 2009) Unlike many others I’m not just pleading for a „judicious“, i.e. 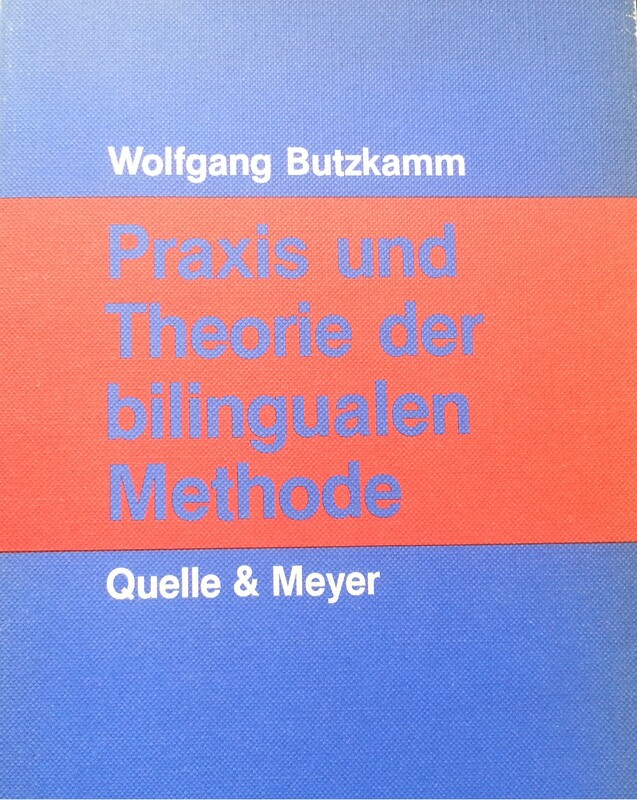 a more flexible, less rigid attitude towards own-language use, but I’m arguing for a radical departure from what I believe is a weak- kneed compromise; I’m arguing for a systematic support via the mother tongue. A pragmatic, face-saving compromise, i.e. a relaxed monolingualism with small concessions to some MT support, has only muddled the issue. 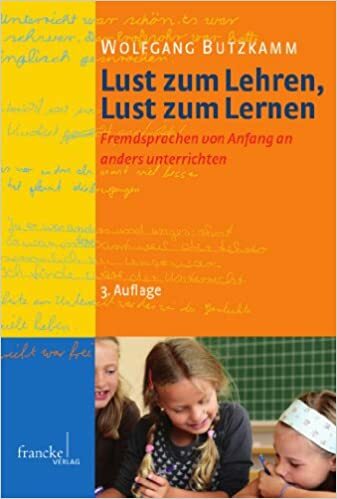 At the same time I claim that a well-targeted, systematic exploitation of the explanatory and diagnostic potential of learners’ own language(s) will not hinder but help to establish the foreign language as the working language of the classroom. And we all know how important that is. Let me first demonstrate a bilingual technique that was invented and tested by C.J. Dodson (1967) and re-tested by others. I have used it with beginners in countless classrooms in the teaching of English, French and German and named it the sandwich technique. I just gave it name, all the credit goes to Dodson who opened my eyes. Sophisticated dialogues, as well as authentic texts and songs, are possible from the very beginning if the sandwich-technique is used. So this is the basic pattern of initiation to a new dialogue: The German teacher of English says a line of the dialogue, gives an idiomatic translation, repeats the line and gets the students to imitate the line. Machst du mir mal ein Butterbrot? Will you make me a sandwich? But before they imitate, he pauses long enough for the students to run through the line in their mind, in synchrony with the teacher whose lip movements they observe while he says the line a third time, but silently. Only then does he give the signal for a group recitation, after which he will point to students to repeat the line singly. The hallmark of the presentation is the right degree of body language, intonation and emotional intensity with which the utterances are delivered. The same holds for the translation, which must be as idiomatic and suited to the context as possible, so that every student catches on straight away. Intonation, voice quality, facial expressions, gestures and posture make the translation so powerful. This is miles away from traditional word equations. There’s a second reason why sandwiching is so effective: Learners can focus on pronunciation, on getting it right. They need not puzzle out the meaning at the same time. Mental resources are freed to concentrate on correct delivery of the lines. Machst du mir mal bitte ein Butterbrot!? Aber Mütter machen doch Brote für ihre Kinder! It’s an oral technique, however with the printed text available at the same time. Through the sandwiching of the translation between the repeated lines of the text, the students are led to repeat the line directly after the foreign language stimulus. Thus, there is no interference from the translation. 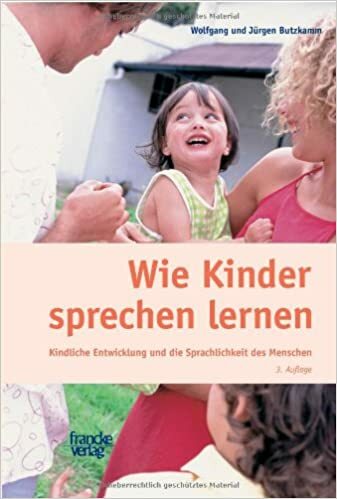 (See Wikipedia and my Youtube channel for more examples) This way we use the learners’ mother tongue as the key to foreign constructions and their meaning. The mother tongue is also the magic key that unlocks the doors to FL grammars. Ich kann das Wort nicht finden. Ich kann nichts hören. *I can the word not find. *I can nothing hear. Mir wurde gesagt, dass…Uns wurde eine Stelle angeboten. I was told that… We were offered a job. *To-me was told that… *To-us was a job offered. Was für ein schönes Baby! Was für eine tolle Wolke! What a beautiful baby! What a magnificent cloud! *What for a beautiful baby! *What for a magnificent cloud! You’ll probably feel safe now to risk more exclamations in German “Was für ein großartiges Spektakulum!” (*What for a grand spectacle!) “Was für eine miserable Performanz!” ( *What for a miserable performance!”). Saying it out loud makes the German construction stick in your mind, because of the oddity. Mirroring can also be applied to word formation. In German a penalty kick is Elfmeter, literally:* eleven metres. A henpecked husband is in German ein Pantoffelheld. But you want to know more, don’t you? Germans actually say *A slipper hero. This kind of easy-to-get explanation reduces the feeling of arbitrariness we have when something remains murky and obscure. It’s an elegant way of making foreign constructions plausible and legitimate in our eyes. One might object: I can see through these constructions without them being mirrored in English. This may be true but not for all pupils and real beginners and not for all German constructions. And it is certainly not true when we deal with the syntax of remote languages. Mirroring is indispensable as a way of unpacking really opaque phrases. Take a language where kinship terms are not expressed by nouns but by verbs. ‘I’m Kate’s mother. Or: Kate is my daughter’. Well, but what is actually said is something like *Kate daughters me. What a beautifully simple way of unlocking the pattern. Just imagine how long it might take you to solve the puzzle just by communicating in the target language. Mirroring is the solution. It can work miracles for beginners. At a single stroke the foreign construction has become less daunting, less alienating, less remote, in a word: less foreign. Numerous constructions, no matter how exotic they may seem at first sight, will in this way find some echo in the linguistic consciousness of speakers of another language. We can map languages onto each other because they all share a common core logic though they vary in the details of their expressive mechanisms. In a deep sense, we only learn language once. All languages help us to make sense of the world, so they all dance the same dance. All humans can talk about both persons and things, time and place, past and future, possession, number, agent, instrument, obligation, condition or basic event types like give & take etc. etc. We already have a grammar in our head which will pave the way to foreign grammars. Fortunately, foreign language learners intuitively make most of the connections themselves, and teachers should help them instead of ignoring the positive contribution of first language skills. MT mirroring is also very effective when it comes to clarify certain errors learners make. She didn’t bought the jeans. She didn’t worked in the garden. The error can be imitated in German, and it rings false in German as it does in English. Learners will spontaneously correct themselves. The same applies to false past tense forms such as “catched”. Incidentally, both are errors English children also make on their way to grammar. Another common error such as *I’m want help can easily be rectified via mirroring. It sounds as awful in German as it does in English. Here is an example of false French produced by English pupils and recorded by Elston in 1998: “So a class can have ‚done‘ the topic of television and know that j‘aime means I like while forgetting that j‘ means I. Thus, to say „Rebecca likes Eastenders“, many pupils typically come out with „Rebecca j‘aime le Eastenders“ (Elston 1998). “You just said “*Rebecca I like the Eastenders”, the teacher might respond, and the problem is solved. Isn’t it a shame that this technique is practically non-existent in our coursebooks and methodology books, though quite common in scientific grammars? German textbooks haven’t used this technique for decades. When I was in China 20 years ago I could see that some schoolbooks in use didn’t have a word in Chinese, i.e. I couldn’t detect any Chinese characters at all. It is perverse not to use a tool which is readily available and can solve many problems. English-only is all right for advanced learners, but perverse for beginners. Yes, it is perverse to use your fist if a hammer is available to drive in a nail. Do you think I want to get involved in this? Anyway, it’s not really any of our business, is it?“ She walked on. Edzard sah sie von der Seite an. Vielleicht hatte sie recht. Eigentlich ging es sie ja wirklich nichts an (p. 20). 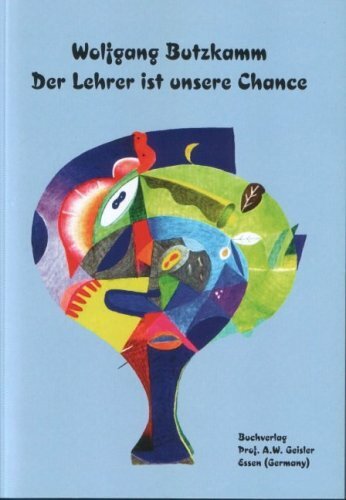 The English girl’s words: ‘It’s not any of our business’ is skillfully picked up by the German idiomatic equivalent “es ging sie ja nichts an”, and the German “Zufall” reoccurs in the next line as “coincidence”. Quite a different language mix is used in a series of Chinese – English bilingual sandwich stories quite popular in China. The stories are told in Chinese, at first with only a bit of English smuggled in which then becomes progressively more. There are more of these clearly defined, brain compatible bilingual teaching techniques which I recommend using alongside proven monolingual activities. They are included in Butzkamm & Caldwell (2009). It bears repeating: What is needed is a paradigm shift which, in any academic discipline, almost resembles a change of power where a ruling class is overthrown. The proponents of monolingualism would lose influence. That’s why we can only count on a new generation of scholars to clean up this mess. But we can start now and free teachers from a self-defeating dogma. My hope, my utopia is to see foreign language teaching and learning made much easier than it is now – with systematic mother tongue support. I’ve been helping asylum seekers from several countries, and it’s crystal clear that a German-only strategy is comparatively slow and cumbersome. Unfortunately, with some people such as speakers of Tigrinya from Eritrea, there is no other way. For some learners from West Africa, French can be used as a language bridge, and for refugees from Syria, English. But where MT support is available and not used, it is an outright denial of assistance, inconsiderate and thoughtless, when it comes to teaching beginners and intermediate learners. We only learn language once. On n’apprend une langue qu’une fois. Sprache lernt man nur einmal. foreign language teaching. Tübingen: Narr. Dodson, C. J. 1967. Language Teaching and the Bilingual Method. London: Pitman. Elston, T. 1998. “Cereal provides a starter.” TES 6/3/1998. Yuhua, Ji. 2002. “English through Chinese: Experimenting with sandwich stories.” In: English Today 69, vol. 18, No.1, 37-46. Dieser Beitrag wurde unter Verschiedenes abgelegt am 20. Juli 2015 von WolfgangButzkamm.